Pittsburgh is seriously becoming one hell of a craft brewery and foodie city. In the last year, so much has opened that I can’t keep up. 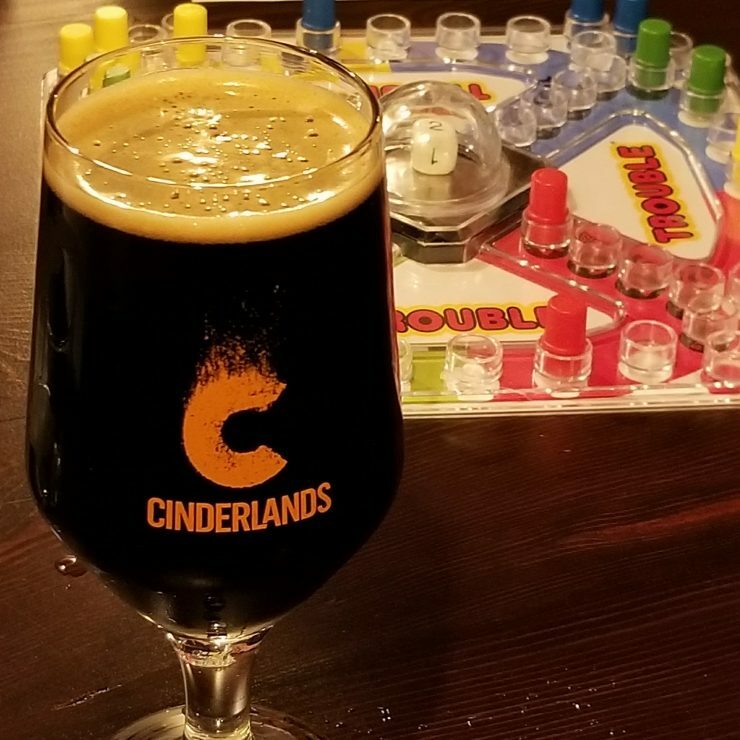 One of the more exciting combined entries into those realms is the new Cinderlands Beer Co. What’s crazy is I can’t decide is this is a great restaurant with awesome beer or an awesome restaurant with great beer? Maybe it’s just all around awesome food and beer. Cinderlands just opened up a few weeks ago in the space of the former Roasted restaurant in Lawrenceville. That’s obviously not descriptive enough loation since that place didn’t long. However, Cinderlands is a great replacement I believe will last quite a long time. I had been seeing lots of posts on Instagram about Cinderlands and I was pretty anxious to check it out. Their concept is to brew beer and make food that reflects the ever changing local community. Cinderlands still had a limited number of beers available and a still evolving menu that was being updated daily. I needed a space for a work holiday party. Cinderlands seemed like a risky choice since it was new, none of us had eaten or gotten drinks there and we weren’t exactly sure where it was located. I called in advance and they were excited to have us there and assured us there was plenty of space. I also did not realize until after arriving at Cinderlands, the chef came from Meat & Potatoes and the sous chef came from Tako. Once realizing this, there was much less worry about the food from the group. We arrived just after opening at 4 PM to a very well redecorated space. We took over their loft area which overlooked the main restaurant, bar and open kitchen. There was definitely plenty of space with a large table, bar stools, a small sitting area, a separate restroom and a pile of board games for entertainment. The staff was very personable and helpful. We got our drinks ordered and jumped right into playing board games. I started out with the Blazing Crude – Coffee Milk Stout, which was the only non-fruity beer on tap right now. It had a nice strong coffee flavor, smooth to drink and in no way boozy. Others in my group ordered some of the fruity beers, some of their cocktails and they also offer nitro cold brew coffee on tap (which I sampled and might have been some of the best nitro cold brew I’ve drank). Before ordering food, I settled in to play a game of Trouble while drinking my beer and looking over the menu. For a place that just started, they have a limited but well rounded food menu. There is a good mix of small plates like pierogies, scotch eggs, and pickles, shareable sides like beets, brussels sprouts, and cauliflower, entrees like burgers, sandwiches and haluski & kielbasa and the option to buy the staff a round of beers at the end of the night. I decided on the Short Rib Sandwich. Our table got a pretty big mix of food. Before I even got to try my food, I was making my way around the table taking photos of very well plated foods. I sampled the brussels sprouts, pickles, and haluski & kielbasa before my sandwich arrived. All were so good. I also got pics of the Fried Chicken Sandwich and Diner Burger, which I were told were fantastic. My sandwich arrived and looked amazing. My short rib was served on a ciabatta roll with melted cheese and pickled cabbage. The short rib was so tender and juicy. The flavors of the rib, cheese, cabbage and spread all mixed together so well. I also ordered the Passionfruit Whipper beer, which was a sweeter and refreshing way to finish off my meal. My group also decided it was a good idea to let both our server and one of the owners, who came up to thank us for bringing the party to Cinderlands, know we had a food blogger in the group. There were immediately a couple of jokes about what they could bring me and do to improve my experience. I can say for certainty, they didn’t need to do anything more to make it great. The food and beer were fantastic. It seemed that everyone in my group loved what they had. Just about all of us said we would be visiting again at some point. I also noticed while leaving Cinderlands, it was a very cold and snowy Tuesday evening and the restaurant was packed. This should bode well for them. I can say for sure I will be back there many times. Any place like Cinderlands with both great food and great beer I will definitely visit over and over. Cinderlands is located in Lawrenceville at 3705 Butler Street.